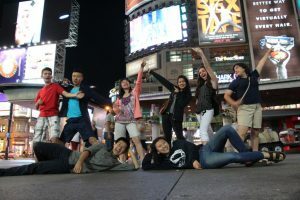 Connect with our network of over 15 000 high school students and teachers in Ontario. Conference programs are attendees’ constant reference companions for the agenda, maps, exhibitors, speakers and special activities. Put your message next to important conference information attendees will read. Reach highly engaged, highly motivated DECA members. Your ad will go home with attendees as many share them in their classrooms upon return. Recruit skilled employees or showcase your products and services. The absolute best source of news and tools for chapter advisors/teachers. Get your message directly to DECA chapter advisors. Outside advertising space is limited, narrowing the reader’s attention to your ad. Chapter advisors often file these resources, maximizing your ad’s exposure overtime. 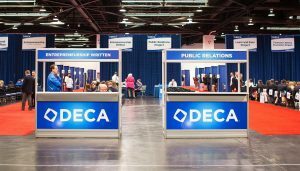 This trusted mailing is a DECA advisor’s ultimate resource. DECA Ontario’s partners reach members directly through our active social media channels. 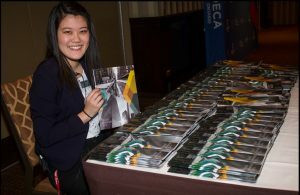 Have your message shared and re-tweeted to peers outside the DECA networks. These highly active social media channels are prime sources of information on youth opportunities.